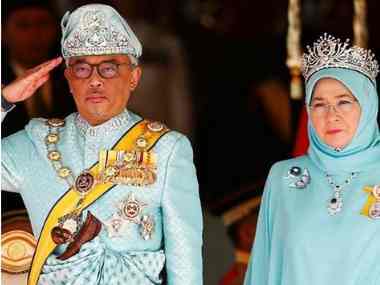 Kuala Lumpur: Malaysia on Thursday installed a new king, Sultan Abdullah Sultan Ahmad Shah, after the last monarch abdicated in a historic first following his reported marriage to a Russian ex-beauty queen. After attending school in Malaysia, the keen polo player went on to study in Britain where he attended the Sandhurst military academy, according to a biography published on official news agency Bernama. Despite the merely ceremonial role, Malaysia’s Islamic royalty command great respect, especially from Muslim Malays, the country’s majority group, and criticising them is strictly forbidden.